Researchers who study and manipulate the behavior of materials at the atomic level have discovered a way to make a thin material that enhances the flow of microwave energy. The advance, which could improve telecommunications, sheds new light on structural traits, generally viewed as static and a hindrance, that, when made to be dynamic, are actually key to the material's special ability. The discovery, reported in the journal Nature, shows how domain walls – the naturally occurring boundaries, separating atoms with different directions of relative displacement, that create dipoles within a material – could actually be an entryway for accessing a much wider range of electromagnetic frequencies. And this access could one day expand the range of frequencies used as communications channels. "As consumer demand for mobile communications increases the available wireless spectrum is increasingly congested and new technologies are needed to create adaptive, frequency-agile antennas," said Robert York, a professor at UC Santa Barbara and a co-author of the paper. "Tunable dielectric materials could be a potential solution." Using the domain walls within a material to enhance its transmission quality is a particularly unexpected approach because the presence of these boundaries tends to strongly diminish a material's ability to pass a microwave electromagnetic field. Until now, the best film materials for transmitting electromagnetic fields in radio-frequency devices were generally considered to be single-crystal materials that do not have any permanent dipole moments – let alone domain walls. But the research team turned this perception of domain walls on its head by creating a ferroelectric material with a high density of domain walls, that can outperform single crystals when it comes to tunability and transmission quality. 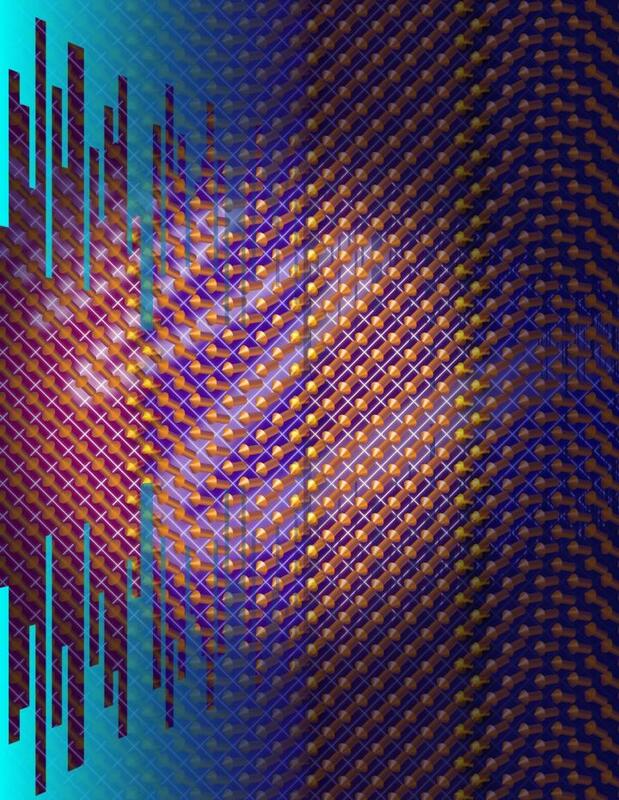 "Even the best-quality bulk single crystals, without permanent, re-orientable dipoles, have higher losses at higher frequencies, due to interference caused by the vibrations of atoms in the lattice," said Jonathan Spanier, a materials science professor at Drexel who led the research. "Film materials with permanent dipoles form domain walls, and the loss is much worse. But films that support reversible domain wall motion and their oscillating behavior surprisingly break that trend and resonate over a wide range of frequencies." According to the researchers, "the proximity of and accessibility among thermodynamically predicted strain-induced, ferroelectric domain wall variants to achieve gigahertz microwave tunability and dielectric loss that surpass those for the current best film devices by 1-2 orders of magnitude, attaining values comparable to bulk single crystals, but in an intrinsically tunable material," they write in the paper. The key to this exceptional tunability, according to co-author Zongquan Gu, a postdoctoral scientist in Spanier's research group, is the abundance of different phases, "the ferroelectric phase transition temperature marks the onset of the permanent dipolar ordering. A peak in the dielectric susceptibility, a thermodynamic property related to the magnitude of capacitance, is a hallmark of the transition," Gu said. "Engineering a film material to have many, more easily available 'phases' near the transition allows the material to attain much higher capacitance tuning with the same voltage." Along with Spanier, Gu, and Geoffrey Xiao, an undergraduate student at Drexel, launched theory and simulation efforts for the prediction of domain wall-rich energy landscapes to direct the production of the domain wall-rich barium strontium titanate film. With Spanier's colleagues at Berkeley, led by Lane Martin, professor in materials science, a leader in ferroelectric domain walls film science, Gu also made and characterized the first samples of the material, using a process called strain engineering to create a dense concentration of domain walls. From there, collaborators from Bar-Ilan University in Israel led by Ilya Grinberg, a professor of chemistry, simulated the atomic-scale dynamic behavior of the special film material at different values of temperature, strain and electric field, comparing it with that for a "perfect" ferroelectric crystal without any domain walls – which revealed the material's exceptional behavior. This intrinsic tunability, meaning the material's excellent transmission abilities do not require any external, electromechanical enhancement, make it promising for use in communication devices – where efficient access to spectrum is essential. At UC Santa Barbara, York, a professor of electrical and computer engineering, and his doctoral student Cedric Meyers, fabricated electrode test structures that enabled the measurement and analysis of material's resonant microwave response, including its tunability. "Tunable dielectric materials have been a focus of investigation in my group at UCSB since the late 1990s," York said. "But despite some progress early on, we consistently ran up against limitations of the materials that were poorly understood. This work helps to better understand these limitations and to identify potential solutions."